Well, after going on a year-long hiatus, I’ve returned. Well, I returned awhile back, actually, in preparation for Riders of Rohan, but that’s neither here nor there. Instead it’s time for me to be my usual hyper-critical self and draw upon the pros and cons of the new Lord of the Rings Online expansion and get doom-and-gloomy about the future of the game. Are you teeming with unimaginable excitement as much as I am? I thought so! The development team for Star Wars: The Old Republic has announced that they mean to switch to F2P by fall of this year. The announcement has led to widespread “sky-is-falling” comments from detractors, saying that this is “proof” that “TOR is dying”. Me? I just shake my head, as usual. What was that bit about history? Ah, right. We’re doomed to repeat it over and over again. That’s right sports fans, Mr. Doom and Gloom isn’t quite finished with this ride just yet. 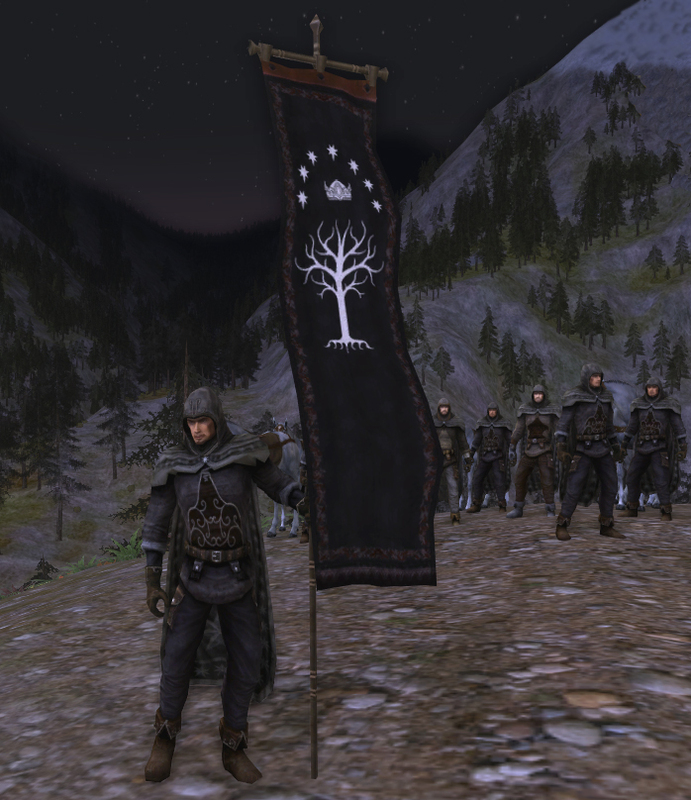 While I did plainly spell out in my last writeup on LotRO of how I felt about the game and how I was no longer putting my time into the game, I still like to keep tabs and make an effort to at least try to see what has happened since my hiatus. Funnily enough it wasn’t Update 5 that brought me back, but the glimpse of someone’s “favorite cosmetic outfit” on the forums wearing what looked to be a Ranger’s outfit. As someone who has been doing his best to mimic such an outfit since 2007, I was immediately intrigued. As you can guess, this obviously led me down the path of Update 5 and some more fun tidbits I had missed in my previous observations of the state of LotRO. So, shall we continue to a point where you find one thing wrong with this writeup and then attempt a blanket statement that everything I say is untrustworthy? Good, then let’s continue!